Hi! I am Dr Pedro Rosado. 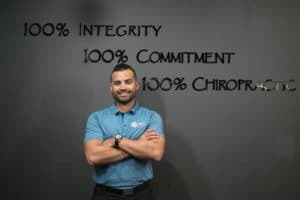 I own and operate 100% Chiropractic – Tampa. 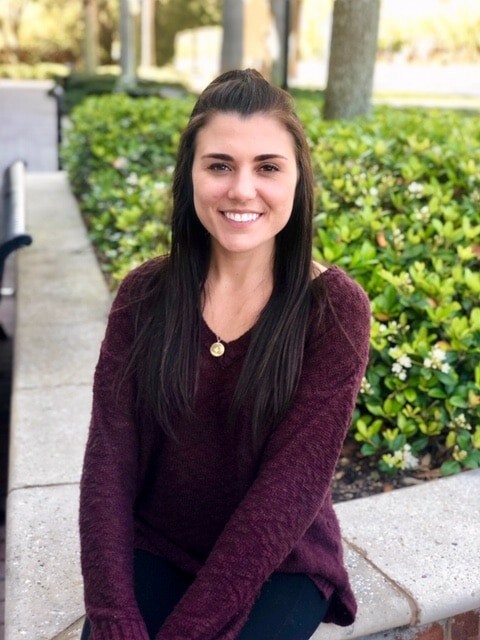 I was born and raised in the beautiful state of Florida and have been practicing since 2010, showing the community the meaning of true healthcare through chiropractic. Healthcare at its best is focused on maintaining good health by prevention rather than waiting for something to go wrong. As a chiropractor in my home state of Florida, I evaluate and analyze your spine and nervous system to see if your body is functioning at its 100% potential. When the spine and nervous system are in the proper alignment and working efficiently, the body exemplifies those results. When building most any structure in the world, the most time is spent on the foundation. So if you have never spent time taking care of your foundation (which is your spine and nervous system), my wonderful team and I would love to guide you through a journey to better health. 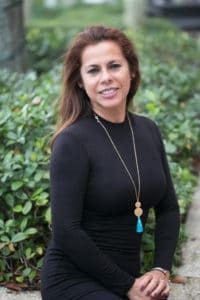 After I earned my degree in Communications from the University of South Florida, I started my Doctorate studies at Palmer College of Chiropractic in Port Orange, FL. There I learned a variety of safe and effective techniques for infants, children, and adults, including certifications in Active Release Technique. The chiropractic philosophy expanded my passion of holistic healthcare and fueled my desire to share this philosophy and healthcare with the world. Being bilingual in English and Spanish has given me the opportunity to share chiropractic with a more diverse population. In my spare time I enjoy paddle boarding, going on hikes with my dog Enzo, playing soccer and pretty much anything that involves being outside in beautiful Florida with my wonderful wife Kelly. I have my family, friends, and patients to thank for playing such an important role in who I have become. They are my inspiration to continue to be the best that I can be. Many people believe that as long as they’re not sick, they’re healthy. However, for many of us, “not sick” is still a long way from 100% well. 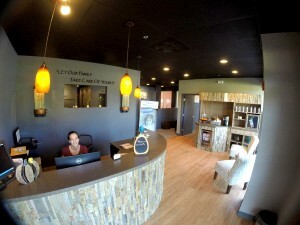 At the Westchase 100% Chiropractic in Tampa Bay, we believe in living at 100%. That means being proactive about your health, not only by eliminating symptoms, but by preventing them from surfacing. 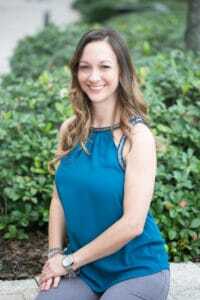 Your local chiropractor brings the Westchase and surrounding Tampa FL residents one of many resources you can use to help you achieve optimum health. In addition to proper nutrition, exercise, socializing, and spending time in nature, routine visits to your Tampa family chiropractor office enhance your health. These regular visits are as essential as brushing your teeth: they’re part of the healthy habits that make up your healthy lifestyle. Corrective Care: By restoring the spine’s natural curves, we give your body the opportunity to function at its highest level: 100%. Prenatal and Pediatric Care: Expectant mothers and new babies have specific needs. Mothers must address the new demands on and changes to their spines and nervous systems as they carry a growing human! A baby’s spine undergoes extreme stress during birth; correcting those subluxations immediately prevents them from turning into long-lasting imbalances. X-Ray: Through these images, we can monitor your progress and adapt your treatment plan according to your needs. Massage Therapy: Chiropractic and massage are not the same thing, but they do work together. Massage relaxes the muscles and improves circulation, both of which are essential if you want your body to be at 100%. Simple: we’re committed to your 100%. That means 100% healing and 100% satisfaction when you visit our Tampa Bay office in the Westchase suburb. Our intention is to build a long-lasting relationship with you, because true health isn’t a switch you turn on or off. It’s something you have to choose every single day. We’re here to choose it with you by becoming your partner in wellness. Our treatment plans are designed with you-in mind. Each human body is wonderfully complex and unique, which means there’s no one treatment plan that will work for everyone. 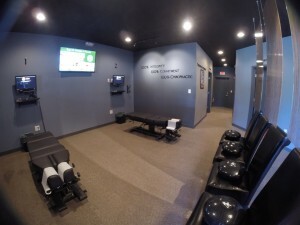 Your plan is carefully designed after a thorough analysis, and we’re committed to helping you learn more about your spine, your nervous system, and your entire body so you feel empowered to make the choices that contribute to a 100% life. No matter your age or what your body has been through in the past, you deserve the opportunity to live at your 100% starting today. Visit your Tampa chiropractor and start your journey to an elevated quality of life. 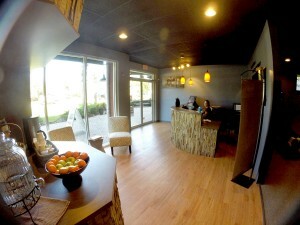 Not looking for a chiropractor in Tampa FL? 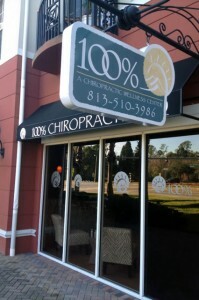 We have other 100% Chiropractic locations aside from our Westchase chiropractic office in Florida: Tallahassee. Hello my name is Kelly! I was born and raised here in the Tampa Bay area. I graduated from USF with a degree in Interdisciplinary Social Science. When the opportunity came to leave my corporate job and begin a whole new career path working along side my husband, it turned out to be the best decision we ever made. I have been the office manager for several years and it means so much to me that we can work as a team to achieve our goals both personally and professionally. I am very fortunate to have Chiropractic care as a way of life for the rest of my life! We are excited to be a part of the Westchase community and to share the message of health with our patients! Come join our 100% Family and see what your life can become when you’re living at 100%! Hi my name is Brooke! I am a Chiropractic Assistant here at 100% Chiropractic. I am a born and raised Tampanian and also very social in the Westchase community. I graduated with my bachelor’s degree in exercise science from Keiser University-Tampa. My passion for health and wellness transpired years ago and has only grown stronger. Now being a part of the 100% team, I share their vision and dedication to the importance of health and succeeding true potential both inside and out. In my free time I enjoy going to the beach, experiencing Tampa Bay’s amazing restaurants, and spending time with my parents, Jeff and Kay-who is a patient as well, grandmother and dog, Roxanne. Hi my name is Erin! I was born in Massachusetts and spent many of my early years on Cape Cod as well as locally in Tarpon Springs. 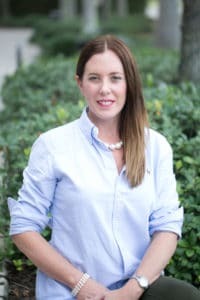 I graduated from Avalon School of Massage and believe that massage therapy provides an outlet to anyone yearning for overall relaxation of the mind, body, and spirit. I am certified in cupping therapy as well as manual lymphatic drainage therapy. I can tailor each session to a client’s individual needs, paying particular attention to their postural imbalances. If you don’t happen to find me in the magical massage room at 100%, I am likely in the other room performing cold laser therapy! In my free time I enjoy staying active by riding my bicycle, thrift shopping and spending quality time with my beautiful daughter, family and friends. I feel so very blessed to be part of the healing process offered at 100% Chiropractic! Hi my name is Maritza! I graduated as a Massage Therapist from Florida Metropolitan University. I bring 10 years of experience to 100% Chiropractic. Specializing in Deep Tissue Massage, I also have certifications in several other modalities that I combine to create a unique and personal experience for each individual session. Striving to find the client’s priorities and addressing them one layer at a time. I truly enjoy facilitating your personal goals towards wellness, empowerment and improvement. I am passionate about the positive effects of therapy on the body and mind. I can provide an invigorating sports massage for fatigued, sore muscles post-workout. I can also work with you on injury rehabilitation, assist in the relief of migraines and tension-related headaches or help you forget about life stresses for an hour with a relaxation focused treatment. Hi my name is Yvonne!. I am originally from South Africa and have been here for 29 years. 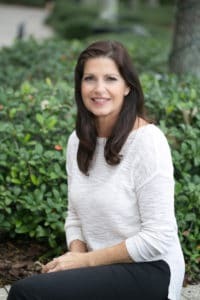 I have been a Massage Therapist since 1983 and had my own practice in Tallahassee, Florida for 17 years. I love my work and the wonderful people I meet and help. I enjoy to work closely with Chiropractors, Physical therapists and Physicians to ensure optimum health for the patients. I have one wonderful son and an adorable 10 month old granddaughter. I also have two cute little dogs, a mini Boston Terrier and French Bulldog. I have lived and traveled in Europe, USA, Africa and Australia and still love to travel, love the beach, music and reading. I enjoy jogging, swimming and the outdoors as well as stay home and watch a good movie. 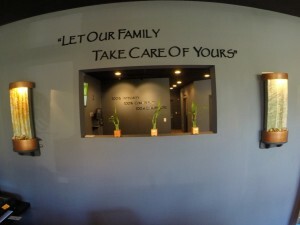 I hope to give patients a wonderful massage and enhance their care with Dr. Pedro. The 100% team are the best people I have ever worked with and they are all caring, kind and compassionate! I am so thankful that I met your team. You have made such a positive change in my life. When I first started care, I was down and out. My life would not be where it is without 100% Chiropractic. I can do more now than I have in very many years. I fell in love with this place the moment I walked in! Dr. Pedro seemed to already know me because he was explaining issues that are common with spinal injuries and I had almost all of them! 100% Chiropractic has improved my overall lifestyle and health. I recommend them to anyone that mentions having back problems. No more stress and pain for me! Before my treatment, I thought the pain was going to be my new normal. I didn’t know that chiropractic treatments could restore my health in such an easy way! My overall wellness has improved in so many ways and I look forward to continue my healing journey. What a difference three months has made! My aches and pains are going away. Why did I wait so long? Thank you 100%! I wholeheartedly believe in the healing benefits of Dr. Pedro’s practice. Since I started care, I have identified all my issues, gained a better understanding, and I’m excited to be working towards my (own personal) 100%! I never would have thought that I would be in such good shape after a few months! I can go on half hour walks with my family. My head feels clearer, my mind sharper, and my memory has improved so much! Those were the unexpected bonuses when I came in looking for pain relief. I found so much more, my “wellness”. I actually had to get new glasses last month because my vision had improved; definitely not something you’d expect to happen in your 50’s!